The Galleria offers a modern structure with ground + 9 storey high rise buildings with essentially everything required for your luxurious lifestyle. The project consists of 238 shops on ground floor and 558 apartments across multiple floors and blocks. Official launching of the project is scheduled on 25th November 2015, but the project is available for booking at introductory pre-launch prices. So, you can save some bucks by booking your shops or apartments before 25th in the pre-launch period. Current prices are valid till 25th November, and revised prices will apply after the official launch. 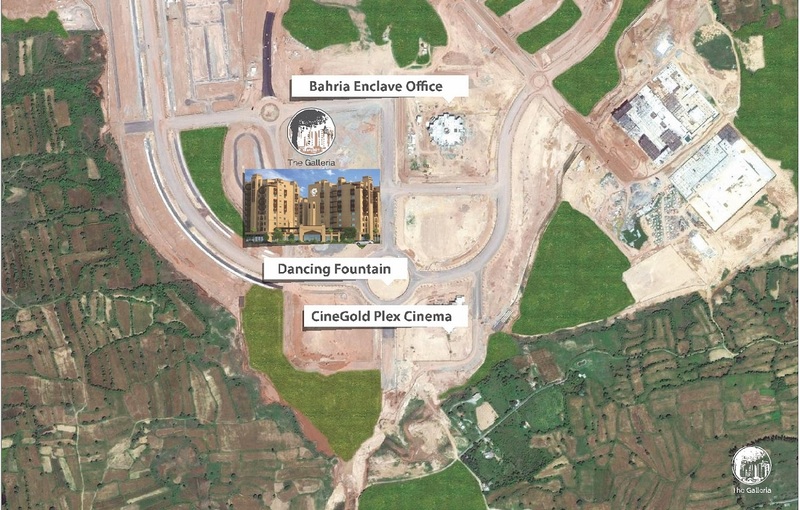 Since this project is spread over 40 kanals at the main commercial area of Bahria Enclave nearby major hotspots, this is definitely a worthwhile investment with higher profit potential. And that is not the end to what this project offers to its residents. 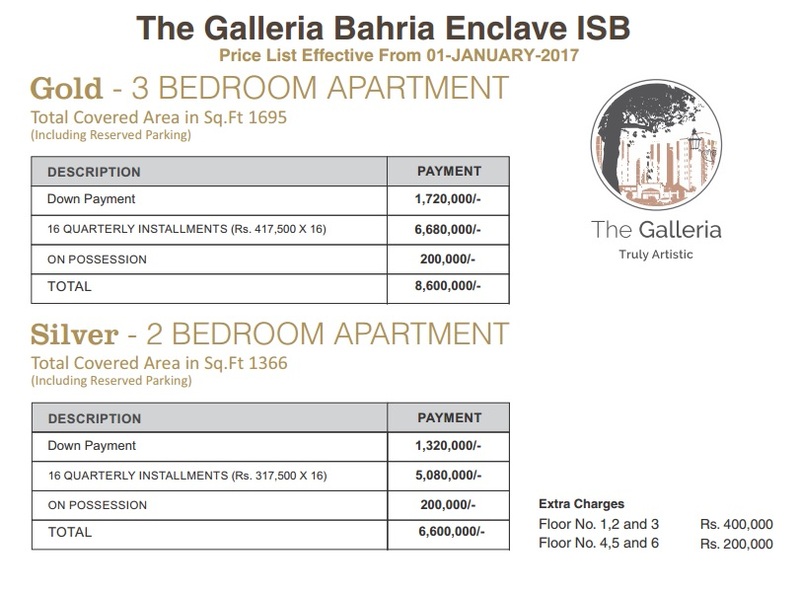 You can go through the brochure attached at the bottom for more details on the ravishing features of the Galleria Apartments. 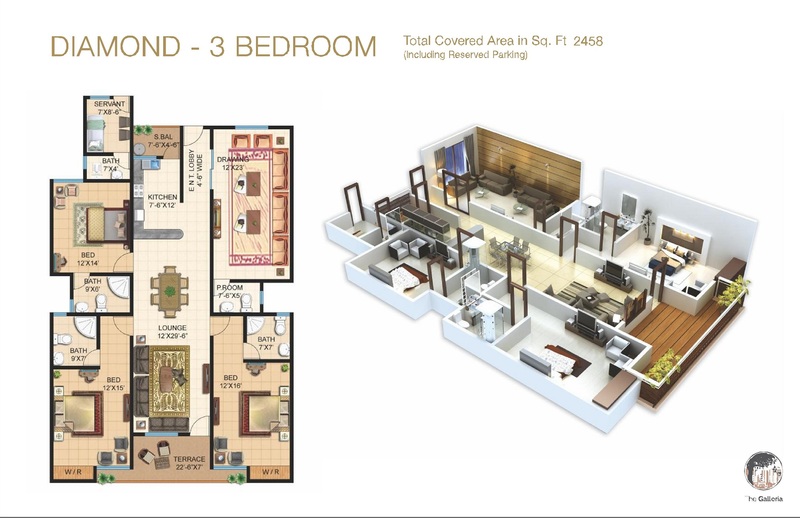 The Galleria offers 2 bedroom and 3 bedroom luxury apartments with extensive covered areas. 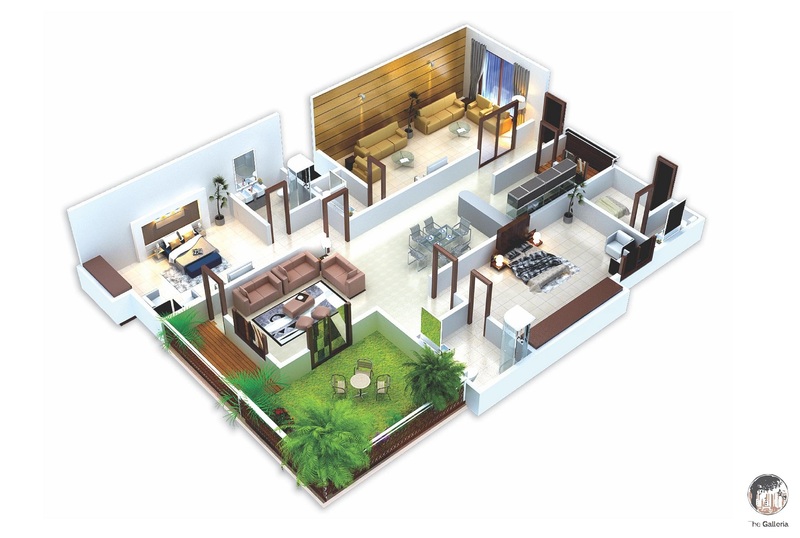 Each apartment comes with master bedroom, american kitchen and modern layout. Layout plans are attached below with details of covered areas including 300 sqft for reserved car parking. You can click on the images to enlarge and download. 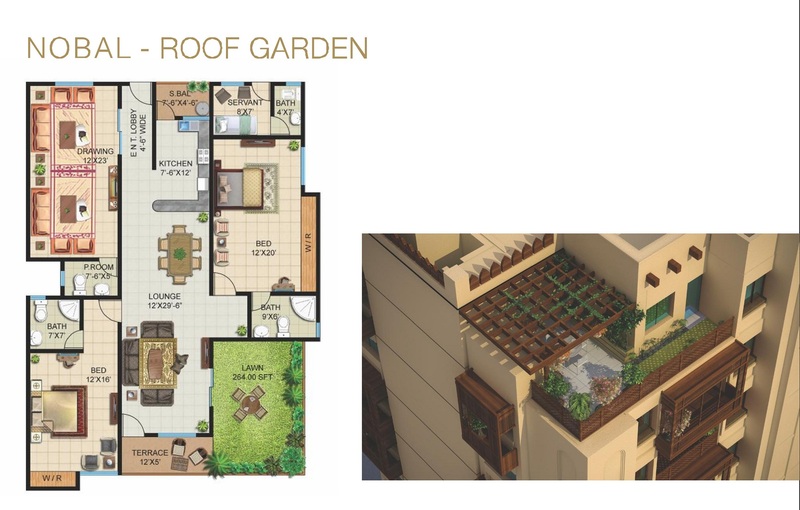 Note: Nobal Roof Garden Apartments are located on 9th floor and on each corner. There are total 12 of these apartments but these are currently not up for sale. 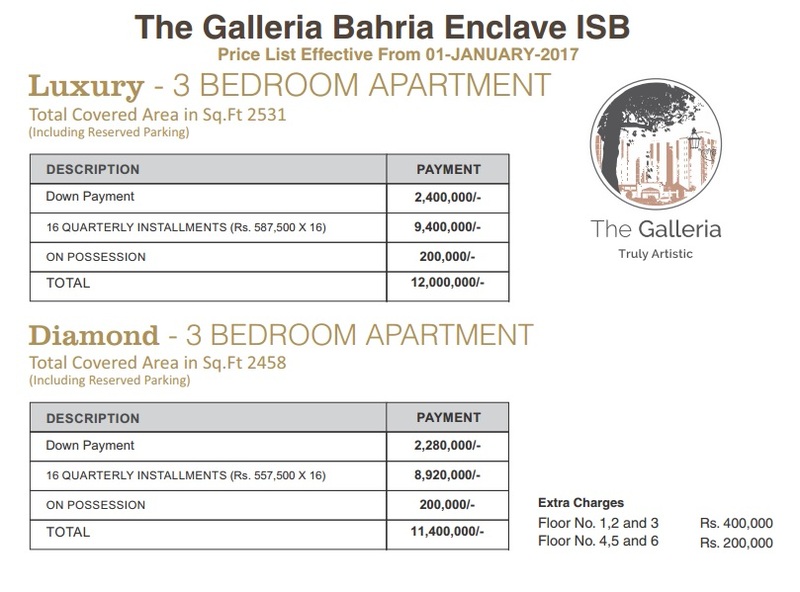 The Galleria apartments come with a flexible payment plan of 4 years. 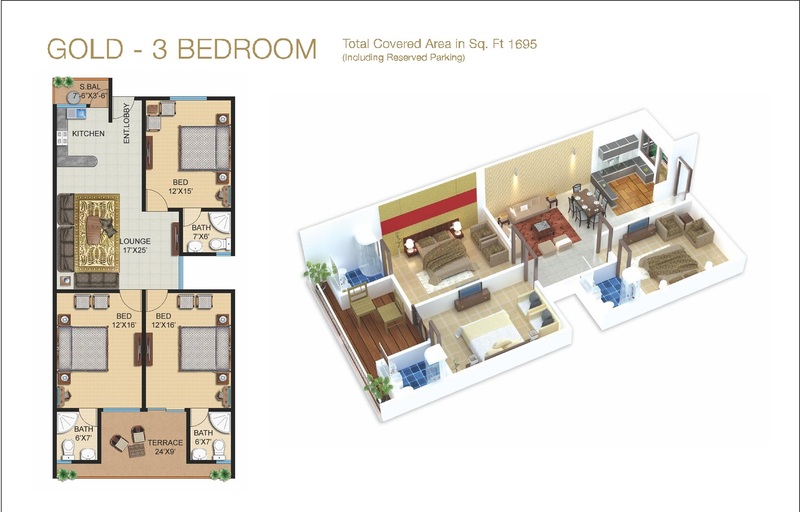 Bookings start with 25% down payment and remaining amount is payable in 16 quarterly installments. Note: Covered area includes around 300 sqft for reserved car parking. 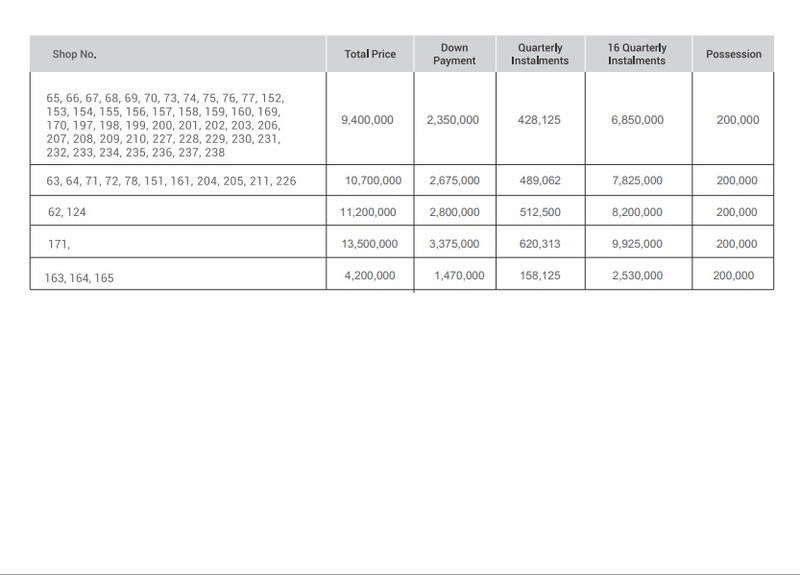 The prices given below are for the apartments located on 7th, 8th & 9th floors. 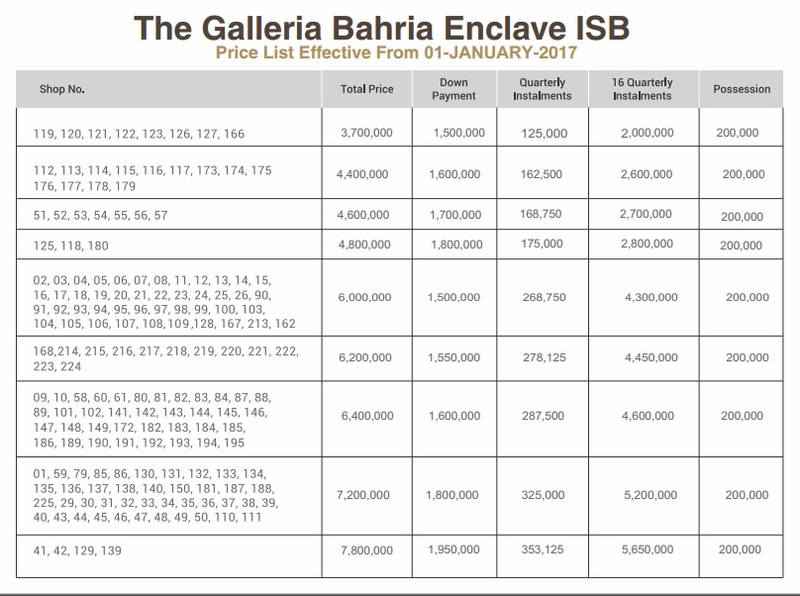 If you want to buy on 1st, 2nd or 3rd floor, you will need to pay extra 4 lac rupees and if you want to buy your apartment on 4th, 5th & 6th floors, you will need to pay 2 lacs extra. Payment plans are attached below, you can click on the images to get enlarged version. The Galleria offers 4 year flexible installment plan. 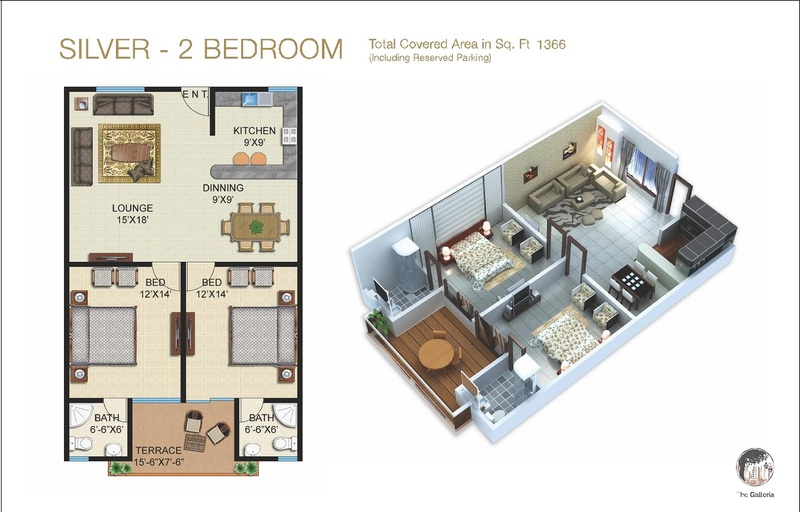 Booking starts from 25% down payment and remaining amount to be paid in 16 quarterly installments. Price list of shops is attached below, you can click on the images to get enlarged version. 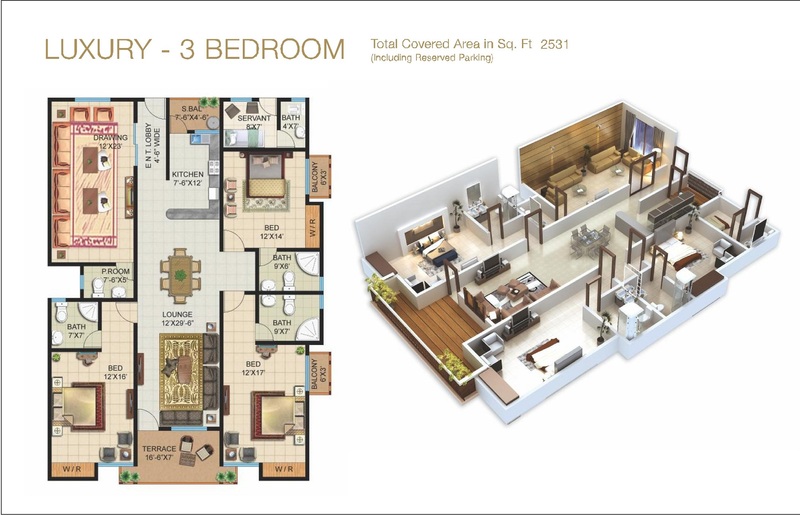 We have attached images of the floor plan maps with numbers of shops and apartments so that you can see the available options on the map and choose the right ones as per your preference. Note: You can click on the images attached below to enlarge and download. The booking form is attached below which you can download, take print out and fill it out with necessary details. Same booking form will be used to book your shop or apartment. 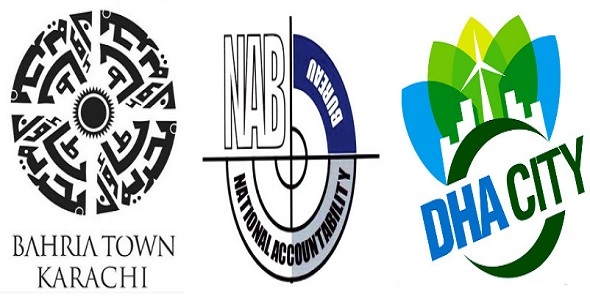 A copy of your own cnic and your nominee’s cnic copy will be submitted along with the form. You will need to make pay order for down payment in favor of M/S AIMAL AND ZAIN BUILDERS. You can contact at the following phone numbers and email address for more details and bookings.